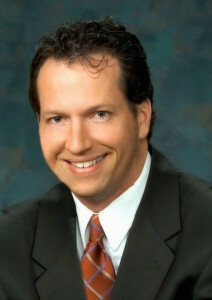 Loop Group, LLC was founded by Gary Loop after a career spanning over 20 years. Gary has primarily worked within Customer Service, Call Centers, but has a wide variety of experience and is now using the same tools to assist businesses across all sectors. Professionally, Gary worked at We Energies for 15 years, serving in a variety of roles. He continued to earn invaluable experience and eventually advanced to Operations Manager in Field Operations and the Customer Care Center, with an employee base of several hundred people. Later, he spent nearly two years as Call Center Director for the City of Milwaukee. Serving as department head, he was able to successfully create an industry standard call center facility, design/deploy a new multi-function CRM, assume efficiencies by consolidating departments, lead department reorganization/restructure, orchestrate the construction of a new business facility, expand hours of operation to handle a greater variety/complexity of work, implement customer service standards to ensure a positive citizen experience, essentially eliminate customer complaints and increased customer compliments, leverage numerous technology/self-service options for cost savings while meeting the needs of citizens looking to utilize web/mobile technology, decreased citizen wait times by eliminating call metric obstacles, support phone efforts of other departments, along with a host of many other efforts. Given the variety of success at various venues, Gary is now able to bring a very unique set of skills to any entity and provide a suite of services/tools to enhance the success of any organization.